Bringing Wide-ranging Connectivity to Remote Applications. The EW200 is an intelligent industrial grade gateway that combines IEEE 802.11b/g/n/ac WLAN and 4G LTE cellular technologies designed for critical infrastructure and industrial applications. 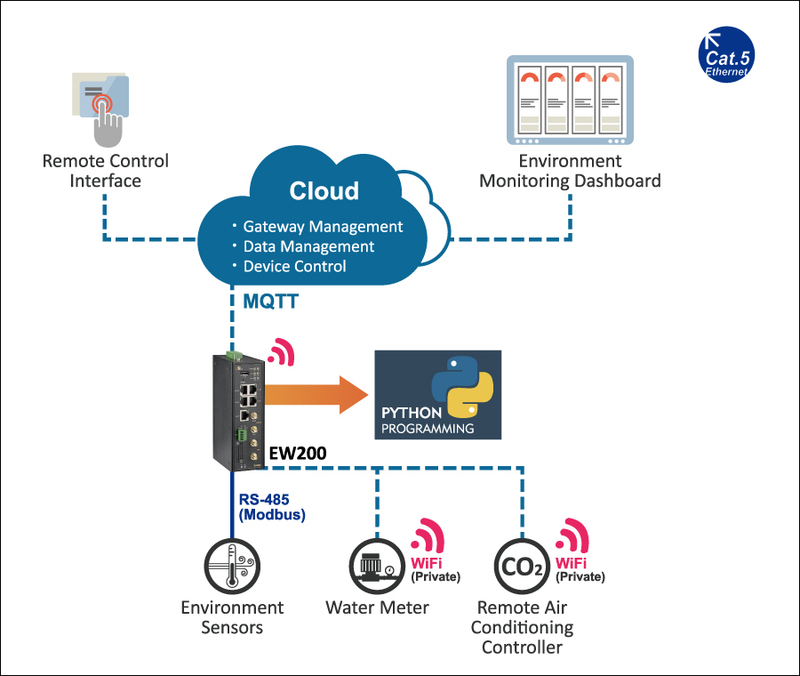 It offers flexible connectivity over cellular and Wireless LAN for harsh environments, giving operations and IT real-time awareness with remote monitoring. 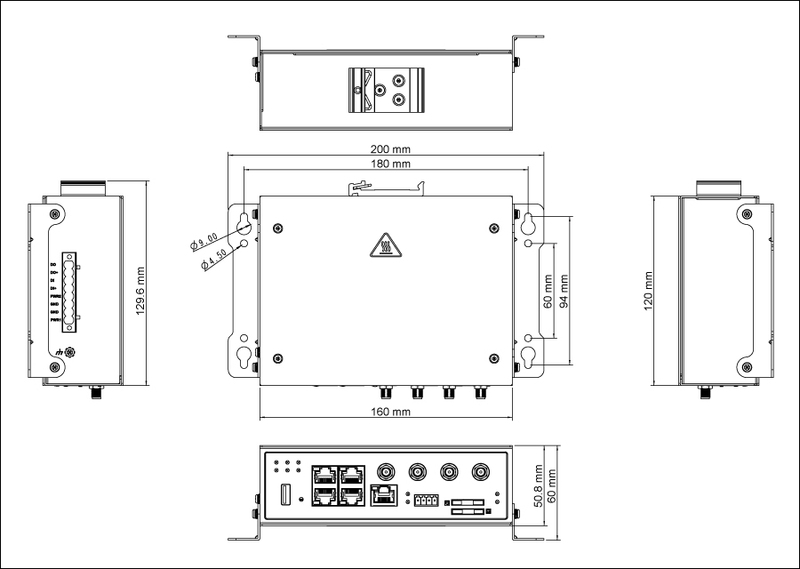 It allows up to 4 Ethernet device links and provides dual SIM cards for failover redundancy to ensure uninterrupted connectivity. The EW200 is a certified Microsoft Azure IoT Device. 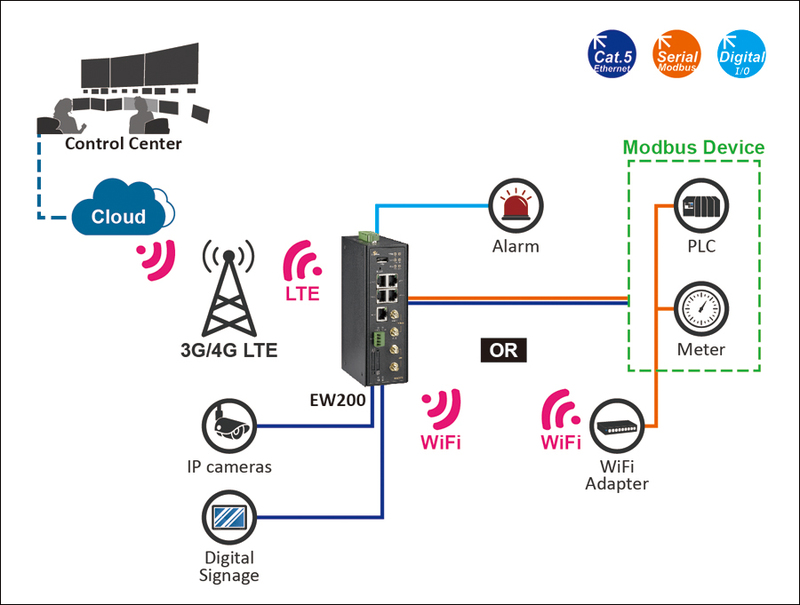 Moreover, it delivers best-in-class multi path connectivity with Wireless, Ethernet, serial, and digital I/O to satisfy most applications. Global LTE options make it easy to get connected. » IPSec, OpenVPN, PPTP, and L2TP VPN support up to 16 concurrent tunnels with max 100Mbps throughput (IPSec).